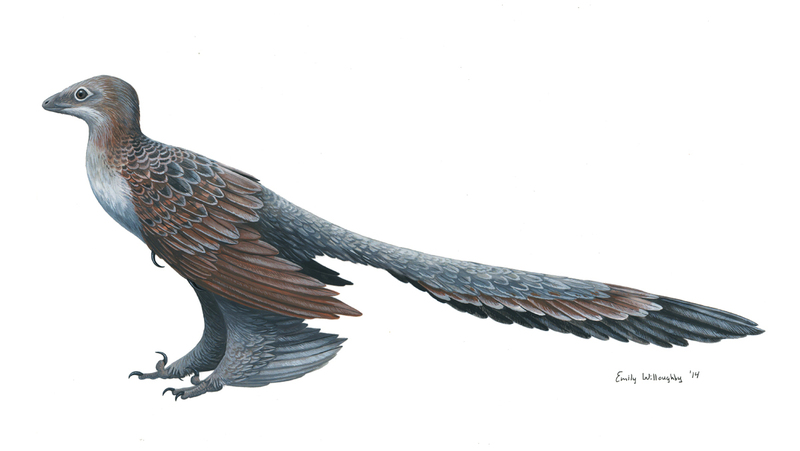 Changyuraptor is also by far the largest "four-winged" dinosaur known, and while this might not be as big of a deal as it sounds (given that there aren't very many "four-winged" dinosaurs), it does show that small size wasn't necessarily the gatekeeper to certain volant adaptations. I personally doubt that this animal was doing anything approaching powered flight, but the long tail feathers and multiple sets of long, well-developed lifting surfaces may have been a boon to gliding and controlled descent. 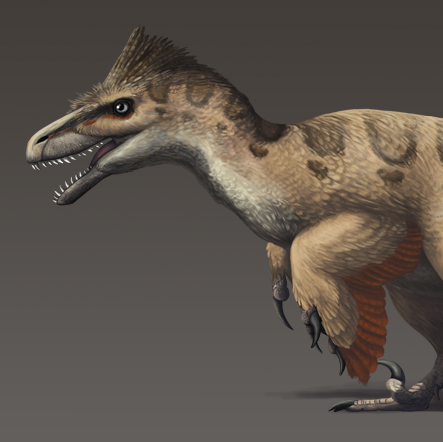 The exceptionally long tail feathers therefore might have been used as a sort of "pitch control" device, wherein a large, relatively heavy animal would have needed especially fine-tuned control over rapid falls onto prey or in safe landings from higher ground. As Buzz Lightyear would say, "This isn't flying, it's falling with style!" Gouache paint on A3-size hot-pressed illustration board, approx. 5-6 hours. Gang Han et al. 2014. 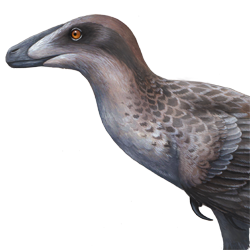 "A new raptorial dinosaur with exceptionally long feathering provides insights into dromaeosaurid flight performance". Nature Communications. 5: 4382.